A fun book filled with many different flower patterns for knitters and crocheters! The instructions were also easy to comprehend. If you’re looking for a fun decorative touch to your projects, I definitely recommend this book. Another wonderful book by Stanfield! I especially love the variety of leaves this book offers and the butterfly patterns. The blue bird is very adorable as well! I wish I knew how to crochet because I want to knit everything in this book! YAY! Another book on knitted flowers! The flowers in this book are GORGEOUS! I love flowers and I love them when they look very real. The forget-me-nots and the oriental lilies are my favourite! I’ve never tried to felt anything before so I’m excited to try it out! So many beautiful flowers and lovely photography! The author uses a variety of yarn to showcase the different textures of the flowers. My first book by Anna Hrachovec. I loved ALL the cute patterns in this book and tried many myself. This book contains detailed instructions for the techniques used by the author as well as pictures to show the step by step procedure. Also, the pictures in this books are creative and captures the life of these knitted amigurumis! YAY!!!!!!!!!!! THE 3rd book is out!!! Anna has done it again!! Just the picture on the cover alone is enough to make my mouth drool! The photography is sooo amazing and how the mochimochi’s are displayed is genius! The Mama Bear Cave is on my to do list and so is the Sour Tooth! Oh, let’s not forget about the Toaster Ghost!! 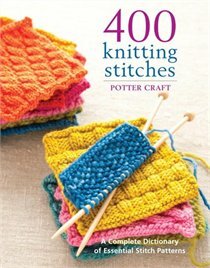 I just wish I can knit everything in this book in one day! Jean Greenhowe is definitely the queen of knitted toys! This was the first book I picked up when I decided to try knitting toys. The instructions were easy to follow even for a beginner like myself. I really enjoyed the variety of toys from animals to dolls! If you want to knit yourself a monster, I would definitely recommend this book. Filled with so many great ideas, you can play around with the patterns and come up with your own crazy monster! Each monster has a personality that will bring a smile to your face! This was the greatest Christmas present I received! This book is like my reference guide to everything. When I come across something I don’t understand, this is my go to book! I haven’t had time to try out the toys in this book yet but it was the pictures in this book that enticed me to get it. This book contains cool ideas like “reversible toys” which would be fun for kids of all ages! This book is so creative because there’s a fun story incorporated, which makes knitting so much more exciting! All the farm animals are super adorable! The instructions were easy to comprehend and you definitely won’t get bored with this book! I love the idea of incorporating fabric with knitted dolls and animals! The classic toy tales are timeless! This is such a cute little book! It reminded me of the Knitting for Gold book by Sue McBride. I love how Laura Long puts so much detail into each Olympians’ outfit. The clothing templates provided are great and you can definitely let your creativity loose! There is quite a bit of sewing involved, so this may be a pro or con for you :). 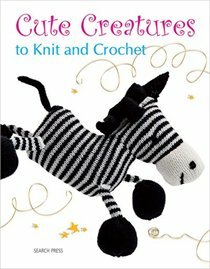 I have received many requests to knit the animals in this book! This is a fabulous book filled adorable pictures that showcase the different personalities of each animal. Once you knit one, you’ll want to keep it for yourself forever! Wow, when I first saw the book Knitted Wild Animals I was already blown away by Sarah Keen and now with this book, my mouth is drooling and my heart is pounding! I am currently knitting the Donkey and I can’t wait to finish it! The photography is amazing and the close up photos really show the details and the professionalism of Keen’s knitting! I LOVE this book! This book made my day! I didn’t know what to expect when I received this book. The meerkats have sooo much personality and you notice that right away with those little speech bubbles throughout the book. I love love love how each pattern is organized. Each pattern is like a chapter in the book with the title and a cover page showing the lovely meerkat. Lastly, the author has a great sense of humour! This is the most awesome book ever! It contains different skill levels and you’ll be amazed at what you can do just knowing how to knit and purl. There are so many stitch patterns and textures that I want to try out. The sharp pictures in this book are also great to really bring out the textures. This book is very similar to the book by Hubert. The instructions are written in paragraphs, which is different from other books. This book doesn’t mention what skill levels you need to acquire that particular stitch pattern; however, the different types of stitches are well organized. Some of the toys in this book are very cute but there are also some that I find a bit scary (which may be due to the “interesting” colour choices used to knit the animal). I was attracted to this book because of the cute colourful snake on the cover. There are some really creative designs in this book! For example, the Cat Pyjama Case is a cute knitted cat that has an opening where you can store your PJs. Furthermore, some of the designs have a practical side to them and the pictures are large so the details are shown. I like how the patterns and pictures are laid out and organized in this book. The knitted toys in this book look very realistic, which makes this book stand out compared to other books. I am super in love with the rainbow brights bear in this book because he’s so colourful and vibrant! I want to knit the wild by design panda rug in this book as well, it’s TOOO CUTE!!! The photography captures the personalities of these cute (and scary) dinosaurs. I love the choice of colours for each dinosaur, the incorporation of buttons for the eyes, the use felt for the details, and the different types of yarn to bring the prehistorical animals to life! What a wonderful book this is! The font is nice and big and the instructions are easy to comprehend and follow. Also, the photos are fantastic and I have so many post-it notes all over this book! If you love teddie bears, this book is definitely worth of checking out! There are so many fun clothes to dress your bear in! The ideas are endless! I especially love the Wizard Bear. I’ve always wanted to knit myself Nemo and i’m so glad I picked up this book because there’s a cute clownfish pattern inside! There are also a lot of fun ocean animals and plants that I would love to knit such as the sperm whale, dolphin, sea turtle, and seahorse! I love the cute animals in this book and the fun names given to them. The instructions are easy to follow and there’s a cow that really looks like a stuffed giraffe I have. The colours chosen for the animals are also fun! Ahhhh this book is SOOOOO ADORABLE!! This book contains six classic fairy tales: Little Red Riding Hood, Rapunzel, Hansel and Gretel, Goldilocks and the Three Bears, The Three Little Pigs, and Beauty and the Beast. Not only does this lovely book have knitting directions in how to knit each of the characters from each fairy tale but this book has their story as well. I love all the little outfits that each character wears! This book comes with a beautiful pear tree!! How fabulous is that! I must say… Fiona Goble, I LOVE YOU!!!! You did it again! This book contains the lyrics to the song, “The Twelve Days of Christmas, which you can sing to yourself, to children and/or to adults as well! This book completes my holiday and I love the artistic drawings in this book. And of course, the knitted dolls are crazy cute as always! I am blown away by the SUPER AWESOMENESS OF THIS BOOK!!!! Each doll has his or her own personality and their wardrobe is just absolutely amazing! I love the authors and the story behind this book. The photography is creative, vibrant, and inspirational! I am actually a little intimidated by this book because this book is different from the other knitted dolls book. Once you knit the basic doll, there are page after page after page of different outfits you can dress your doll in! Fair isle knitting is not my forte but I can’t wait to knit the intricate outfits in this book!! Once you knit the basic doll the ideas are endless for turning your doll into an athlete! I love the figure skater, the white water rafter, and archer. I wish the pictures were more vibrate and brighter; however, I love the layout of this book! I’ve never traveled to London but maybe now I don’t have to because I can knit London!!! This book is so creative and filled with fun information about London. After reading through the book, I felt like I had a special tour! Each pattern also describes the level of difficulty in a very funny way. Lastly, this book is FILLED with pictures that make this book complete and fabulous! I came across this book through my mom’s friend. She lent it to me and I still haven’t returned it yet!!! I just enjoy and love how blown up the pictures are especially when it comes to seaming. I LOVE the little stories given to each doll. These dolls are super odd and they definitely don’t fit the “norm” but I just love how crazy and wild they look! They have sooo much personality! Because of the first book, I went out and bought this one online! I am just as amazed as with KnitWits. I love love love the funny looking dolls and the hilarious stories that they come with. I’m glad that this book is now part of my collection forever! Finally got a hold of this book and I am not disappointed! There are 30 little finger puppets that you can knit and each one is ridiculously adorable! I love the photography mainly because of the super close ups for each puppet. The pictures enable me to clearly see the details especially when it comes to sewing the face. I really really want to learn how to crochet now because of this book! The robots are unique and the ideas are endless! Everything in this book is just TOOO CUTE!!!!!!!! I wonder if I can translate the crochet instructions to knitting instructions. awwww thank you for the comment!!! When I first learned how to knit, it was frustrating as well!! I could never remember how to cast on and always had to ask my mom to do it! And I could never remember how to cast off as well hahaha Maybe through throwing the knitting needles, you will gain talent in throwing darts!! hahaha I’ve thought about crocheting but for some reason, learning something new intimidates me!! Even though I’ve had comments saying how i’ll be able to pick it up quickly, I am still hesitant to take that first step! I know one day I will try it because my aunt is really great at crocheting but that day will be in the far future hahaha :D Thanks for visiting again!!! Thanks for liking my blog, which led me to yours. I love all the toys you have made. And this collection of books is just wonderful. I love Jean Greenhowe too. Fireman Sam came from Women’s weekly magazine in the UK and is based on a TV character. The best thing I think about knitted toys is that they last for ever- have just passed onto my grandson a knitted martian which I made for his Dad ! Am following your blog now as it is great to be in the company of other knitters. Jean Greenhowe is definitely the QUEEN of knitted toys!! Ohhh that’s a fun fact about Fireman Sam! I didn’t know! I just googled to learn a bit more =p How do you take care of your knitted toys? I’ve thought about washing them but i’m worried they would shrink. Maybe I need to prewash them before stuffing? Do you know magazine ‘Selvedge’ published in UK. It’s about everything to do with textiles – you’d like it. Thanks for liking my painting – maybe knitted paintings could be next?! Thanks for sharing these resources. I’m beginning to get interested in embellishments as I want to start “pimping up” my doilies =) The flowers, butterflies & sea creatures books def have my attention. Again, thanks for sharing. I always look forward to your posts. I agree… a wonderful resource! I have the ‘Crobots’ book, and another one that isnt listed called ‘Seriously Cute Amigurimi’. I can crochet better than I can knit, and I love this style. So easy, quick and every enjoyable. I love it when the the face it created and then you’re looking at a really cute wee dude!! Craft books are awesome. I own more than i have time for, including a knitting bible that I hope to tackle soon. Thanks for liking my needlefelted Yoda post! If I can crochet you can too! Thanks for the book reviews…some of the books look very fun! What a great resource! I’ll be back here again! Great list! I see several I’m going to check out next time I need a book fix. Thanks for reading. Fantastic list! And adding crochet to your knitting toolbox is well worth it. You can shortcut some things and save time. And then you can grab Creepy Cute Crochet as well. Can you believe it. I have either got or borrowed from the library most of those books! They are lovely! Your title makes me laugh – and that’s always a good way to end the day! LOVE the book ideas – and the housekeeping tip. Thanks for sharing great ideas.